Carl S. Young is a recognized subject matter expert in information and physical security risk management. He is currently a Managing Director and the Chief Security Officer at Stroz Friedberg, an international security risk consulting firm. He is the former Global Head of Physical Security Technology at Goldman Sachs as well as a former Senior Executive and Supervisory Special Agent at the FBI. He was also a consultant to the JASON Defense Advisory Group. 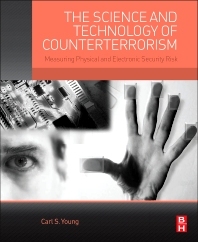 Mr. Young is the author of Metrics and Methods for Security Risk Management (Syngress, 2010), and The Science and Technology of Counterterrorism (Butterworth-Heinemann, 2014) as well as numerous journal publications. In 1997 he was awarded the President’s Foreign Intelligence Advisory Board (PFIAB) James R. Killian Award by the White House for significant individual contributions to U.S. national security. Mr. Young received undergraduate and graduate degrees in mathematics and physics from the Massachusetts Institute of Technology.